In the last post, I promised to summarize the advice so generously shared by the Executive Director and Curators of the Textile Museum of Canada. This is my best shot, and if I missed or garbled the wisdom they imparted, I hope someone will correct me and expand on this great base. Sorry – no pix of the advice team; they were all too focused on sharing info to pause for a photo op. 1. To secure funding, it is crucial that the Museum focus on the education and research aspects of the institution, not just its collection – The Museum must be an organization with a well-defined vision that will be attractive to funders. 2. Adequate operating funding means, ideally, having in hand a million a year for five years by the time the Museum opens. (yikes – raising the sum – or getting commitments for $5 million is a tad daunting); Other museums have confirmed this is a realistic sum for an all-professional paid staff. This big figure assumed that by then the Museum would have a core staff of four: Curator/Director – Researcher – Installer – Financial person. 3. The Museum must have a clear scope of the collection policy and adhere to it. It is most important to have good documentation and provenance information when accepting objects. Condition of the objects is an important consideration. The Museum must have the strength of will to reject beautiful objects (deftly) that don’t fit the Museum’s collection criteria, or that would create a conservation burden. 4. It is important to be able to contextualize the objects in the collection – to make them meaningful, useful, relevant and interesting to the general public. the willingness of prospective members to donate services. 6. The Museum formation team will benefit from accessing the list-serve for the Textile Society of America- a wealth of good information [since my trip to Toronto I followed have joined the TSA so I can be part of that information stream]. 8. The Knitting Heritage Museum formation team needs to tap expert resources to understand the conservation standards as well as the specific distinctions among stabilization, restoration and repair. 9. The TMC stated the method of dealing with the insect problem of textile eating insects – Bag the object and deep freeze it at minus 8 degrees Fahrenheit for two weeks. That could mean a lot of freezers will be needed at start-up. 10. 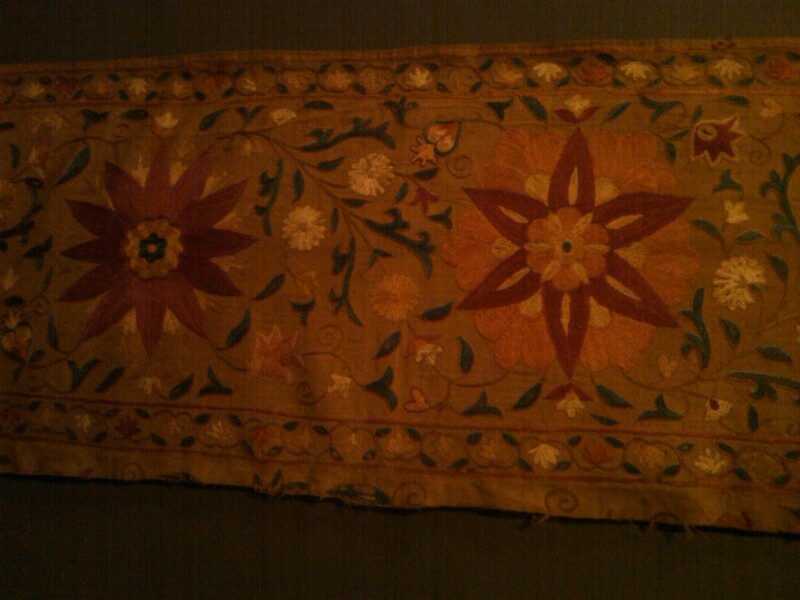 The TMC collects historic textiles, yet often builds its exhibits around contemporary objects and developments. This way the past serves the future. TMC has a fabulous gift shop, too. Their manager, John Alexander, explained merchandising policies – how all the items for sale relate back to the textile theme, and how to gauge when demand is saturated. Thanks so much to the awesome folks at the Textile Museum of Canada: Shauna McCabe, Executive Director; Sarah Quinton, Curatorial Director; Roxane Shaughnessy, Curator for Collections and Access; and Natalia Nekrassova, Curator for Collections and Research. Their advice was firmly, but warmly, delivered and came with the best wishes for the success of the Knitting Heritage Museum. Mandates and Budgets and Boards! OH MY!! 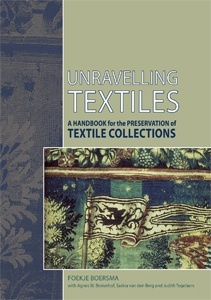 Did Roxane really suggest that Textile Society might be interested in a poster presentation of our progress? What might we able to report about the steps toward a Knitting Museum by Sept. 2012 that textile professionals would want to hear?!?!?!? Next Post – Wisdom from Stratford’s Archivist.